Happy thirteenth day of Creepmas! It's been fun sharing how to spookify your holiday season this year, but today marks the final day of the 13 Days of Creepmas. For my final post I wanted to share some Christmas horror movie montages and short films to spread the holiday fear! 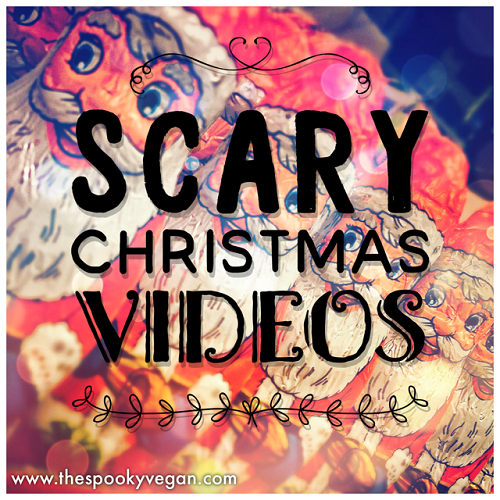 Some of my faves are included in the video montages below, plus I included some short films to get you in the spooky spirit! Included in the two compilations below are movie clips from Black Christmas (1974 and 2006 versions), Christmas Evil (1980), Gremlins (1984), Silent Night, Deadly Night (1984), 6 Films to Keep You Awake: A Christmas Tale (2005), Rare Exports: A Christmas Tale (2010), Sint aka Saint (2010), Silent Night remake (2012), A Christmas Horror Story (2015), Krampus (2015), Don't Open 'Til Christmas (1984), Jack Frost (1996), Santa Claus Conquers the Martians (1964), Tales from the Crypt All Through the House (1972), etc., set to Christmas music! Wishing you a very merry Creepmas season! I’ve always liked Treevenge too, but I forgot all about it. Thanks for posting it.